The quick start kit will allow the compressor to start properly when operated on the Onon 2.8 Micro-Lite Generator as the 120V power source. High ambient temperatures can affect the ability of the roof mounted air conditioner and heat pump to start on generator power. 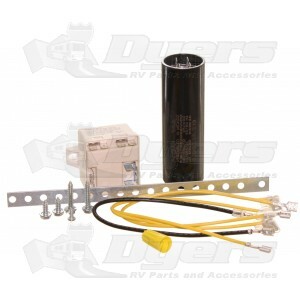 The quick start kit can be installed on all Duo-Therm roof mounted air conditioners and heat pumps.